Looking for some crafty items to keep your kids occupied this summer? 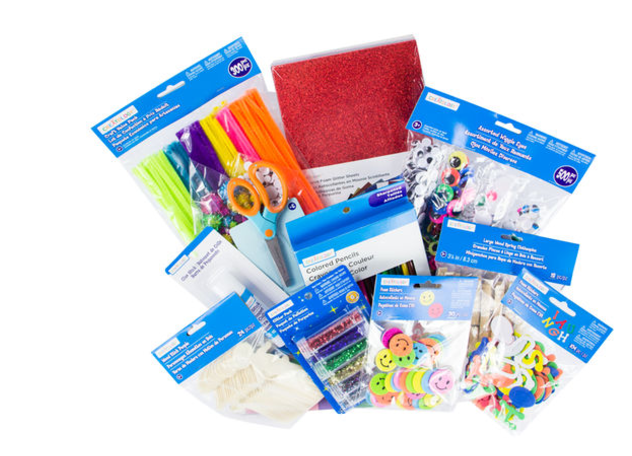 Michael’s has a Creative Play Kit filled with over 1,000 kid-friendly art supplies for just $29.99! This deal is online only, and ships FREE! This is a limited edition set, and I’m not sure how long it will last. If you’re looking for some kid-friendly crafts to do with this kit, be sure to follow Frugal Finds During Naptime’s Kiddy Craft Fun Pinterest Board.